I did a Google image search of a Massons Trichrome stain of a myocardial infarct to test some new software. I recognised the image as it was my first published image from my PhD, but when I clicked on it I saw it was in another paper. I know every bit of that image, including the zoomed in images, so I knew immediately. They had also changed the axis labels in the graphs, very low quality fraud. They have illegally stolen your copyrighted figures, I thought Elsevier would want to pursue them about this. But Boyle had also contacted the plagiarizing authors’ institutions in March. After hearing from your letter, Shandong University and Shandong Provincial hospital has carefully investigated into this issue. We require the corresponding author and the first author to provide the detailed original data of the dissertation. Liu Aiguo, the first author, claimed that the experiments of the dissertation were entrusted to Guangzhou Kainuo Biological Technology Co., Ltd, and the experiment was designed by Liu aiguo and operated by the company. So far, the raw data of the experiment had been missing or could not be found. The first author could not confirm whether Figure 4 and Figure 5 were carried out by the company or not. The corresponding author demanded retraction actively. The Academic Commission of Shandong University decides to withdraw the first author Liu Aiguo’s doctoral degree (student number 2011120057), Cui Lianqun shall be disqualified from postgraduate students recruitment of all kinds in 2018 and 2019. The 7420 RMB award of the dissertation in 2014 shall be fully returned. We have circulated a notice of criticism within the hospital. We are very sorry for the trouble caused for you! Lianqun did not respond to a request for comment. An interested reader drew to our attention the fact that Figs. 4 and 5 in the above-mentioned article had already been published as Figs. 4 and 5 in the following paper [Boyle AJ, Kelly DJ, Zhang Y, Cox AJ, Gow RM, Way K, Itescu S, Krum H and Gilbert RE: Inhibition of protein kinase C reduces left ventricular fibrosis and dysfunction following myocardial infarction. J Mol Cell Cardiol 39: 213-221, 2005]. Following an investigation, the Journal was able to confirm that this accusation of plagiarism is well-founded. On those grounds, the Editorial Board has decided to retract this paper. Every effort was made to contact the authors in this regard, but without success. 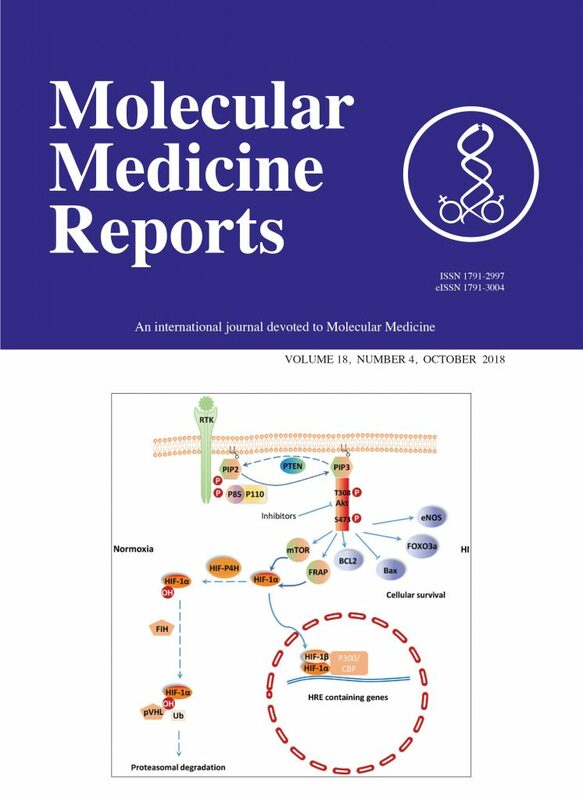 The Editor deeply regrets any inconvenience that this retraction has caused to the readership of the Journal [the original article was published in Molecular Medicine Reports 8: 361-366, 2013; DOI: 10.3892/mmr.2013.1507]. Two small quibbles with that. Boyle, of course, was the “interested reader.” And the “investigation” was external. Boyle says he hasn’t started “scouring the literature” for more evidence of plagiarism of his work. I am just hopeful that [this post] raises awareness and that this ceases happening. But I am not too confident that it will completely stop. This is fraudulent and I do not agree to that. Nothing else will be satisfactory. How can we as scientists be so dumb to accept that a publisher like Elsevier, with their extreme high profit made on our work, will not lift a finger to protect their property and support the researcher that do the work? Research institutes should stop the subscription and researchers should stop doing any unpaid work for Elsevier. I am very sympathetic to Morty’s position, but as previous RW posts show, Elsevier is not the only entity, or even the only publisher, whose actions demonstrate only a lukewarm commitment to protect the integrity of the scientific record. Good to know that these are just lies. Previous Previous post: When it comes to authorship, how prolific is too prolific?